"Eat a queen's breakfast,a middle-man's lunch and a beggar's dinner." As the saying goes,breakfast is one of the most important meal of the day in fact I would say the most important of all. In today's entry I would like to point out some facts to fellow readers of my blog on how vital having breakfast is. I am indeed aware that many adolescents today are very conscious about their weight.Many I known are trying their level best to stay in tip-top condition. 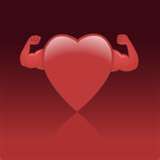 Indeed everybody wants and yearns for a healthy heart.Breakfast does all the magic. 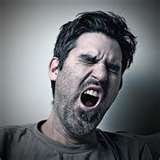 If you are one of those people who never stop yawning,the chances of your fatigues might be due to not taking breakfast. There were several occasions when I questioned some of my close buddies in a serious tone asking them why they don't take their breakfast.And the feedback I get didn't really astonish me much.Some complained that they'll acquire symptoms like nausea,vomiting,and stomachache . But I can assure you ,if you're a person who practices taking your breakfast since young all this problems would not arise. Anxiety or sleeping too much??? ?